Bile is a critical digestive fluid that is produced in the liver and concentrated in the gallbladder. Bile’s main digestive responsibility is to emulsify fats in order to create fatty acids that can be digested and used by the body. Additionally, it has an anti-microbial effect that helps to kill off unwanted pathogens. When the body has metabolic dysfunctions that lead to poor bile production and sluggish bile flow, it can cause serious health problems (1). This article goes over 25 ways you can improve gallbladder health and optimize your bile flow. These strategies help to strengthen liver function and bile flow formation while they improve gallbladder health and bile duct motility. If you have had your gallbladder surgically removed than it is even more imperative to follow these action steps in order to strengthen the liver and the formation process of the bile. A healthy diet that is high in good fats is critical for cholesterol production, bile production and secretion. Good fats that should be staple parts of the diet include avocados, olive oil, grass-fed butter or ghee, wild fish, coconut oil and grass-fed beef. Water is extremely critical for bile production and dehydration will create thicker bile that moves very sluggishly. 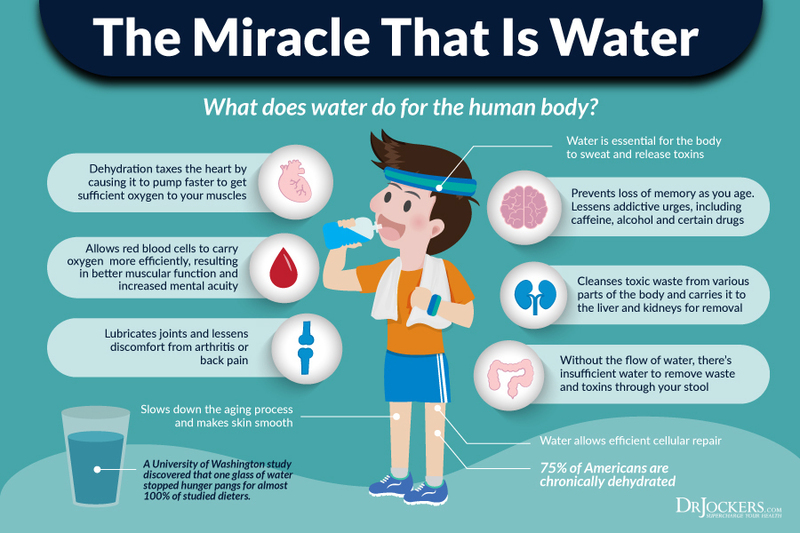 Drink a minimum of half your body weight in ounces of clean, purified water. I recommend drinking 16-32oz of water within the first 30-60 minutes of waking in the morning and then drinking at least 8oz of water between each meal (starting an hour after eating). People who are overweight or obese have a significantly higher rate of gallstones. You want to get to an optimal weight, but not too quickly. People who undergo rapid weight loss are at a higher risk of developing gallstones. Stomach acid is a major stimulator for the secretion of bile into the small intestine. Daily practices to improve stomach acid production are also important for bile production and utilization. You may also consider supplementing with betaine hydrochloric acid. Both of these help to improve both stomach acid and bile activity. Squeeze fresh lemon in water, on salads and meats. You can also use lemon essential oil in water. Put a tbsp. of apple cider vinegar in 8oz of water and drink throughout the day. This will help to thin the bile. Some of the best things for bile flow include beets, radishes, artichoke, asparagus, celery, lemon, lime, grapefruit, cucumbers and carrots. Juicing these veggies or have a big salad with fresh squeezed lemon everyday. A common saying in natural health is that “bitter is good for the liver.” Anything good for the liver is good for the gallbladder. This includes ginger, arugula, endive, cilantro, turmeric, dandelion, cumin, fennel, mint, milk thistle, yarrow, leeks and parsley. Many cultures around the world have bitter foods to begin their meal. They may drink ginger or peppermint tea, have pickled ginger, have a salad with arugula, dandelion and cilantro, etc. These all act to stimulate digestive juices and give the bile flow a boost for optimal digestion. Fermented foods such as sauerkraut, kimchi, pickles, pickled ginger, etc. all contain organic acids, enzymes and probiotics which help to improve digestive juice secretions. I recommend using one of these with all of your heavier meals and especially any meal with protein and/or fat. Fermented drinks such as ACV, coconut water kefir and lemon water (not fermented) contain organic acids that have an anti-microbial effect. So these help to reduce the bacterial load and stimulate the production of digestive juices. Fasting from food (but drinking lots of water and herbal teas) is extremely beneficial for the liver and gallbladder. I recommend beginning with 12 hours from your last meal to your first morning meal. Then working your way up to where you can do a 16 hour liquid fast from your last meal to your first meal the next day. Consume lots of herbal teas like ginger, dandelion root, lemon detox tea, etc. and you can have green juices during your fasting period. If you have a sluggish gallbladder or have had your gallbladder removed, you should never eat large meals. 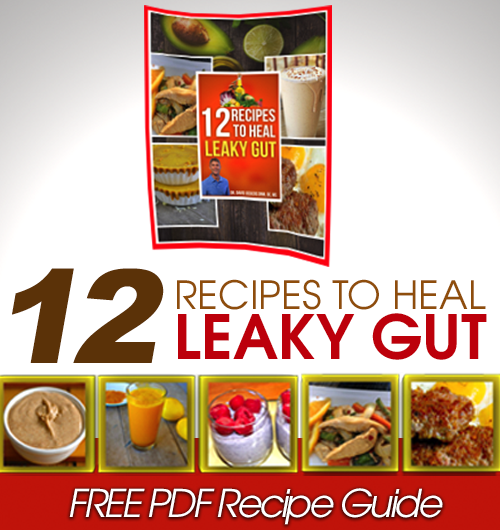 You will be unable to emulsify the fats and will cause tremendous digestive stress. Consume 3-4 small meals during your eating period for the day. Shakes and smoothies are great for the liver and gallbladder. These help to purify the blood stream and improve bile secretions. Any dark green leafy vegetable will work along with things like wheat grass, oat grass and microalgae such as chlorella and spirulina. In order to have good bile flow, your body needs to activate the parasympathetic nervous system. If you are busy and on the go, you will be in fight or flight sympathetic mode. If you struggle with low stomach acid, this is not going to allow you to produce anywhere near enough. Most people with gallbladder problems struggle to digest certain foods including eggs, pork, onions, dairy, gluten, coffee, corn and nuts. 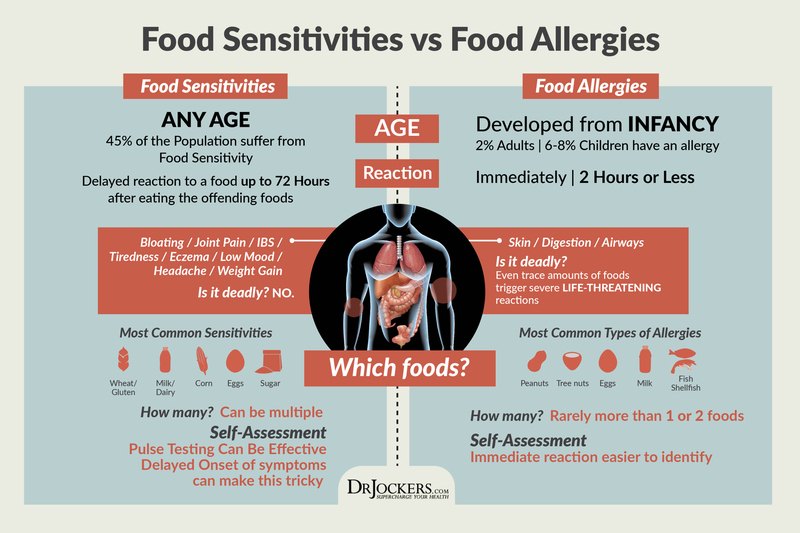 You can get lab work done or do biofeedback testing to see how you tolerate these foods. You can also try an elimination diet for 30 days where you remove these foods and see how your respond. The key nutrients that are the most powerful estrogen detoxifying agents are called glucosinolates (2). These include DIM, I3C and Sulforaphane. The best natural source of these compounds can be found in broccoli and kale sprouts. Put these on salads and meat dishes. In addition, it is good to consume cruciferous veggies everyday such as cabbage, broccoli, cauliflower, kale, collards, Brussel sprouts, etc. for more of these glucosinolate compounds. Soluble fiber helps to grab up old bile and bad estrogen compounds and escorts these toxins out of the body. The best sources of soluble fiber include chia, flax, hemp and pumpkin seeds. Insoluble fiber is found in fruits and veggies and acts like a broom to sweep feces and toxins out through the bowels. In Chinese medicine the most active time period for gallbladder healing is between 11pm-1am. The liver is between 1am – 3am. You want to be sound asleep by 11pm in order to maximize liver and gallbladder healing and repair. According to traditional Chinese medicine, the liver and gallbladder are areas that hold anger. People who are angry and frustrated have a greater propensity for liver and gallbladder issues. Deal with any anger, frustration and bitterness and focus your energy on gratitude and love. Begin meditating and praying more and surround yourself with individuals who carry positive attitudes. 19. What Decisions Are You Struggling With? The liver and gallbladder are emotional seats for decision making and taking action. Are you living in regret from past decisions or struggling to make a new decision or take action on it? Examine these areas and meditate and pray through them to help release the stress on these organs. Magnesium helps with contractile activity within the body. A magnesium deficiency, which is extremely common, would reduce contractile activity of the bile ducts. Taking 250-500 mg of supplemental magnesium can be very helpful for bile release and gallbladder health (3). Lecithin is the major source of phospholipids which are one of the key emulsifying agents in bile. It breaks down fat and makes them easier to digest and helps keep cholesterol moving through the blood stream (4). Raw eggs are a natural source of lecithin but since so many people with gallbladder problems have sensitivities to eggs, I recommend non-GMO soy or even better, sunflower lecithin. You can find these in many products and purchase them and put the contents in smoothies. I recommend this Sunflower lecithin, take 3 tablespoons daily in a shake or smoothie. If you do not have a gallbladder or have very sluggish bile motility than you will need supplemental bile. This will greatly improve the digestion of fatty acid and fat soluble nutrients (5). The best form is Ox Bile as it is most similar to our own. You can try taking a single 500 mg pill shortly before you eat meals or take any fatty supplements (like cod liver oil) or other fat-soluble vitamins. I like this Nutricology Ox Bile. If you’re still uncomfortable, take more. 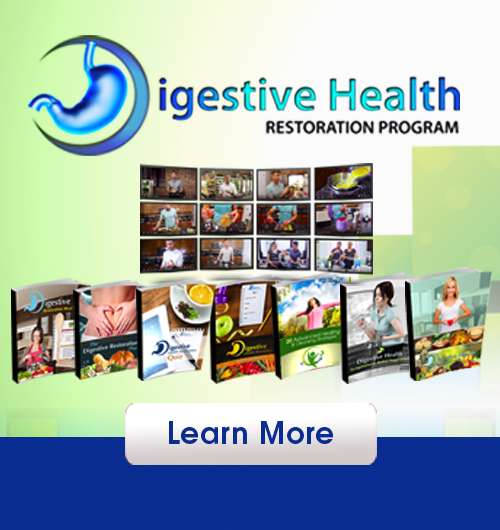 The goal should be to completely eliminate your symptoms of digestive distress. You will have to experiment to find the right amount for you. If you do not have a gallbladder, this is especially important. The IleoTibial (IT) band area is related to the gallbladder meridian and often gets very tight in individuals dealing with gallbladder stress. Especially the right side. Try stretching these and using a foam roller to loosen them up and through a reflex arc it can have a positive effect on bile flow. Here is a video where I demonstrate how to use a foam roller on several regions of the body including the IT bands. This is the reflexology center for the gallbladder. By massaging this region, it can positively affect the gallbladder and improve bile flow. Have a chiropractic examination, looking at the upper neck region, the atlas, which influences the vagus nerve. The vagus helps to innervate the digestive organs and plays a role in the formation of bile and the contractile activity of the bile duct. Additionally, the mid-thoracic region, especially T4 – T6 innervates the liver and gallbladder and is very important in the activity of the region. Be sure to have a chiropractor check and adjust both of these regions as necessary. Juicing fresh veggies such as kale, spinach, parsley, cilantro, watercress, bok choy, beets, carrots, mustard greens, cucumbers, celery, etc. is highly advised. The phytonutrients are highly bioavailable in fresh juice and they will help to cleanse the liver and gallbladder. If you are dealing with gallbladder problems than it would be wise to drink 16-32 oz of vegetable juice daily. No more than 4-8 oz of it should be with beets and carrots due to the sugar. Be sure to get most of it from the greens, using bok choy, celery or cucumber as the main juicing base. However, the beets and carrots are extraordinary for the gallbladder and liver. Taurine, choline and methionine are key amino acids involved in a number of key physiological functions. This includes bile acid conjugation and cell membrane stabilization. These amino acids taken in a supplemental form can help improve bile flow and reduce the formation of gallstones. The most common recommendation is 100-200 mg of taurine, 200-400 mg of choline and 200-400 mg methionine once or twice daily to help balance and utilize calcium and magnesium and produce bile. I like to use our bile flow support supplement which has these key amino acids and other liver and gallbladder supporting nutrients. 1. Staels B, Fonseca VA. Bile Acids and Metabolic Regulation: Mechanisms and clinical responses to bile acid sequestration. Diabetes Care. 2009;32(Suppl 2):S237-S245. 5. Wang DQ-H, Carey MC. Therapeutic uses of animal biles in traditional Chinese medicine: An ethnopharmacological, biophysical chemical and medicinal review. World Journal of Gastroenterology : WJG. 2014;20(29):9952-9975. Great article! I had my gallbladder removed 8 years ago. After making changes in my diet and following some of the recommendations you mention in this article I feel much better. I need to practice more of these tips so I can feel even more better! Thabks a again!! Awesome to hear that Cristina!!! I had a complete hysterectomy on May 2nd and a friend told me to expect gallbladder problems and possibly a need for surgical removal of the gallbladder. This was a complete surprise since I had not heard of this before. I found this article today while searching for pro-active ways to prevent my gallbladder from needing to be removed. Very informative and easy to understand! My question: What signs or symptoms should I look for related to gallbladder problems? So far I have noticed some new pains but I am relating them to the very recent hysterectomy but I may be wrong. This is fantastic, thank you. It was recommended I have my gallbladder out last year, but I decided I would try to manage my gallbladder through through lifestyle change – exercise and diet changes. Naturally, it seemed I suddenly avoided certain foods (dairy) and craved others like lemon juice and water every morning, this list is a great addition to things I’m already trying to do – thanks. My gallbladder pain was always on the left and not the right, to the side, upper rib area,under the left breast/outer side; it felt like it was my heart! Do you know why the pain would be on the left as opposed to the usual right sided pain? Thanks, great article – glad I found it. That’s great Angela! I am not sure why you would feel pain on your left side if the issue was your gallbladder. You sound just like me ,mine hurts on the left side . Gallbladder only is producing 20 % bile ,I also have a fatty liver and thyroid problems and parathyroid. I’m scheduled to have my gallbladder taken out in a few weeks. But have been reading to drink 1 qt of apple juice a day for 6 days to soften up stones and then drink 1 Tbs. of epson salt in one cup of water, repeat two hours later and then drink a mix of 1/4 cup of olive oil and 1/4 cup lemon juice. This is to help release the stones from the gallbladder. Just wanted to know if you have heard of this and your thoughts. Thank you! whicH Flush Are Ypu Speaking of? The liver flush? I am recommended to have my gallbladder removed bc I suffer from bile reflux and my gallbladder is at 34% function. I’d like to avoid surgery but the pain is constant now. I have changed diet and it has helped some. Would you recommend keeping it as long as possible? I don’t want to remove unless 100% necessary. Thank you! You can also email michael@drjockers.com if you would like a more customized plan! How do I do the gallbladder flush? Thank you so much! I plan on getting the digestive enzymes with ox bile will that help the same? Thanks again! The enzymes and ox bile will help digestion while you are following the other strategies here to improve gallbladder function. Using a combination of strategies is going to be needed most likely so incorporating as many of the above as possible is a good idea. Yes Michelle, these can be very helpful for gallstones as well! Hi in the last month I have had the onset of pain. I first thought it was gases and acid reflux but nothing I took was relieving my symptoms. I then started to notice that the pain would be most painful on my right side near my rib cage. I had an ultrasound and the results were “several gallstones” and sludge. The pain is intolerable and I seem to have an “attack” every 3-4 days. I do not want to have my gallbladder removed and have done a lot of research. There are so many supplements and things to try to help relieve the pain and pass/dissolve the gallstones it’s overwhelming. I have changed my diet, but I am afraid to eat so I ended up eating 1 meal a day to see how I may feel after. My attacks normally happen hours after I have eaten a meal. To be honest they seem to start between 3:00 and 4:00am everytime and last all day. I am currently taking ACV with mother’s and apple juice every night before bed. I take Milk Thistle 2-3 times a day and also Red Rice Yeast 2 times a day. In the morning I take lemon juice with warm water on an empty stomach. It seems to be helping a little, but I still do not feel normal and have a dull pain all the time. Any other suggestions? At what point do you feel that you should consider removing your gallbladder? Can it rupture from too many stones? Please help…I just want to feel normal again. Oh one more thing is it ok to take and try all these supplements/remedies at the same time or together? Hi Dr. Jockers, I’m glad to find this article. I had my first GB attack in April this year and another one in June. All tests were normal and I do not have gallstones. After feeling sick on and off for a couple of months I had a HIDA scan done and found my GB was functioning at 1%. I have GB surgery scheduled for mid -November, but am considering canceling. I have “challenged my diet” and have felt fine for 4 weeks. It’s hard to go into surgery when you feel fine. I also didn’t give natural remedies much of a chance (dandelion, milk thistle, chiropractics, etc.). Also, I didn’t have an endoscopy done so I would like to have that done before I have an organ removed…just to ensure there are no other issues. I have read that GB issues may be more of a bile issue. Will following your recommendations help my situation since I don’t have gallstones? Thanks!!! Yes these things can definitely help Lisa! Many blessings! Sorry to hear that Mary! Really not sure if you can get it back to well functioning, but I would apply the principles in this article to get the best possible functionality! Is it okay to do juicing with the above mentioned vegetables/fruits when you are taking medications? Won’t a liver detox sweep the meds out of your system quicker….could be dangerous. This is great information. I recently had a stool test showing a high amount of phospholipids. I dont feel I have enough bile/ or flow issues. I have been researching ways to improve on this naturally, however it seems many remedies involve foods/ supplements with acid. I was recently diagnosed with interstitial cystitis and i have not been able to tolerate foods with acid. I do tolerate liapase, but I feel like it’s just a bandaid. Are there any low acid ways to stimulate bile production and flow? Hey Kelly, good question. Using carminative herbs and digestive bitters can be great. Thanks for sharing Dan! It is a good perspective. There are other aspects not discussed such the astringent effect (shedding the mucosal lining), the delivery of nutrients into the blood stream, and the mechanical removal of toxins from the colon itself (helping reduce autointoxication). It is certainly up to the consumer whether or not they feel this is worth it or not. Thanks for sharing! Hi, the article is very informative, but addresses GB stones only. I have been diagnosed with gallbladder polyps that are 4 and 6 mm, and are not growing. Will this diet help with polyps, too? Could they disappear with all these treatments? The strategies in this article should promote conditions in the body that do not support polyp growth Xoya! I’ve been having gallbladder motility problems – my scans and function tests were 4 months ago and they were perfectly all fine! No sludge, no stones ?! Do you think once my hormones are levelled out my gallbladder function will improve again? It’s the second time it’s happened to me this year and it sorted its self out the first time! ..
A GP said it’s highly unlikely stones would of formed in 4 months? My symptoms are right rib and arm cramps, looser stools etc – I avoid the triggers that bring on the nausea so I haven’t really felt sick! Can motility and bike flow re-correct itself with out intervention?? Thanks for that! We just edited and updated this! Is juicing same as vitamix juicing?